Compatible with all versions i.e. SharePoint Online & On-Premises. With the help of this SharePoint Migrator tool, a user can move data from SharePoint 2010, 2007, 2003 to SharePoint 2016, 2013 i.e., either in a same or another database. In order to perform this migration, one needs to enter credentials for both first. In addition, it also transfers sites, document libraries, subsites, and list from one SharePoint to another. The tool will preview the list of all mailboxes from both the databases i.e., source and destination on a single screen. 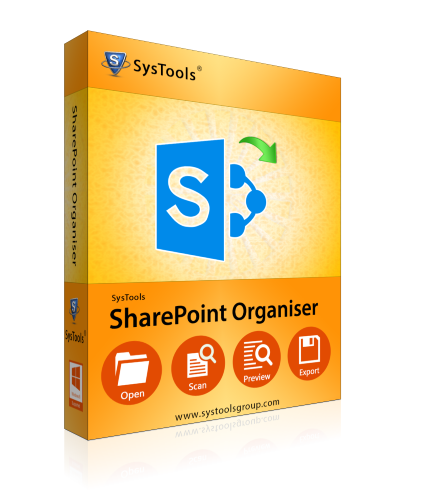 In order to move data from SharePoint On-premise to SharePoint Online, one can easily use this software. As a user select this option, the software will map the mailboxes and switch it from SharePoint 2016, 2013, 2010, 2007, 2003 to SharePoint 365. One needs to provide the SharePoint credentials in the source end and Office 365 credentials at destination end. After that, the tool will display all files or folders stored inside these two on a single screen. 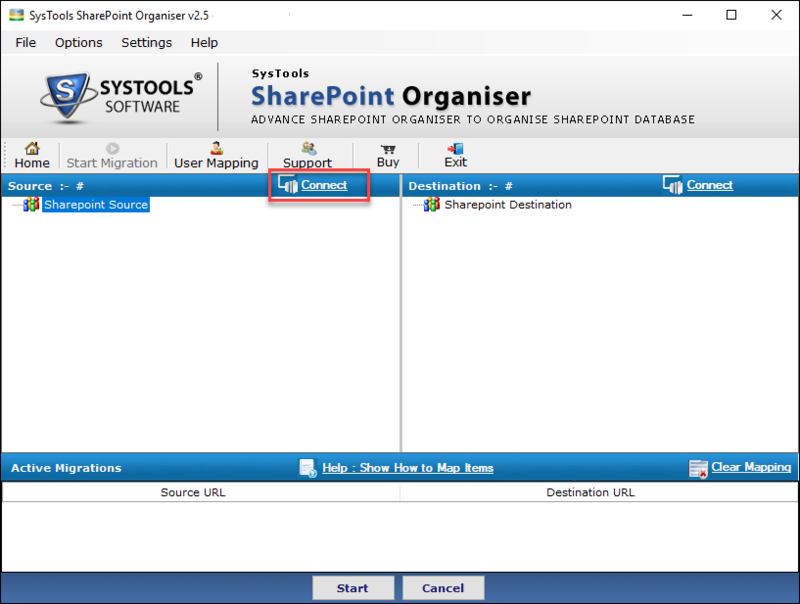 Another major benefit offered by this SharePoint to SharePoint migration tool is that it also permits users to switch accounts from SharePoint Online to SharePoint. Here also the procedure is same, enter the credentials of Office 365 account at the source end and SharePoint login details at the destination end. This application will simply list all mailboxes available in it. However, a user can perform mapping in order to migrate data from source to destination. If a user wants to migrate from SharePoint 365 to SharePoint Online, then it can be done with the help of this software. A user needs to choose this option in order to select Office 365 at both source and destination end to perform SharePoint migration. Similar to above, just enter login credentials of both source and destination Office 365 accounts. Once logged in successfully, the application will list all items available in Office 365 account. This SharePoint Migration software provides users an option to migrate selective data from source to destination. The date-based filter option offered by the tool permit users to migrate data from a specific date range during Office 365 to SharePoint migration. Moreover, the software is capable to preserve all option also to retain folder structure after migration. To avail this service, one needs to check the Maintain Folder hierarchy option. Another impressive feature offered by this SharePoint to SharePoint Migration tool is that it supports incremental migration. It means that once a user has migrated all content from SharePoint On-premise to SharePoint 365, then in the next attempt it moves only new and modified data from the last migration. This option helps users in preventing duplicate data in the destination. During SharePoint to On-premise SharePoint or any other migration, a user needs to move permissions or other data items also such as notes, task, contacts, etc., from source to destination. In order to achieve this, one has to create a CSV file that includes all mapping details of source and destination mailboxes. This user mapping option will help users in creating a CSV file that is required during migration process for easy mapping. Moreover, It will retain the version and file types also during migration. As the SharePoint to SharePoint Online migration process begins, the software will display the real-time export report. A user can view all conversion details in 3 different tabs. The first tab will show the pending mailboxes for migration, the second tab will list the currently uploading mailboxes, and the third tab will display the completely migrated mailboxes. 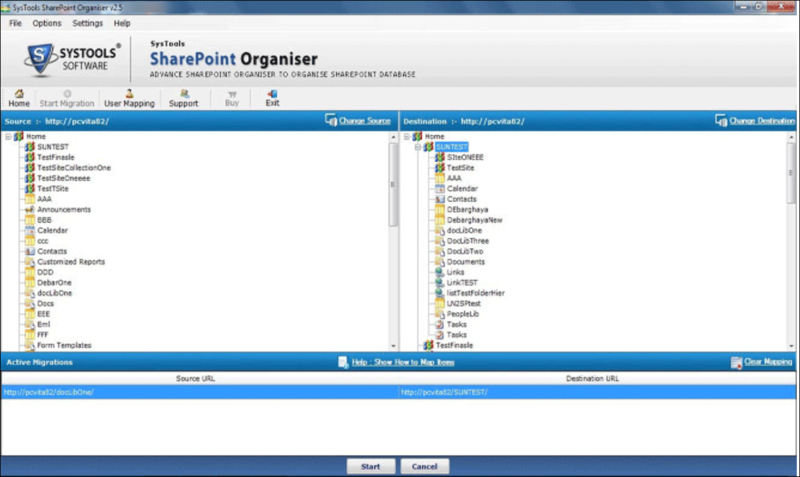 What Free version of SharePoint to SharePoint Migrator Do? 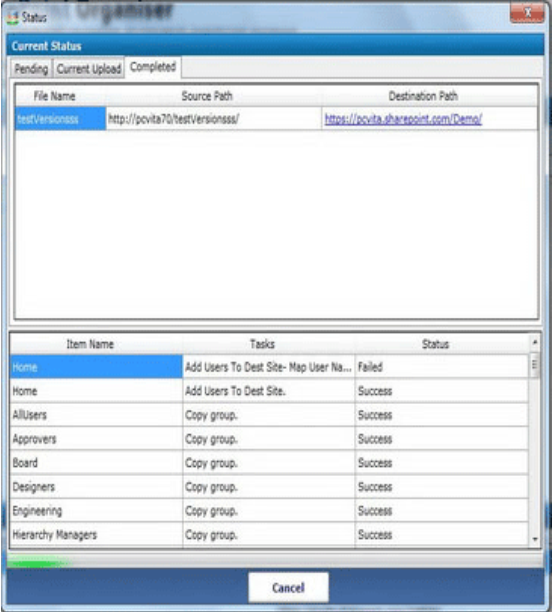 The free / demo version of SharePoint Migrator software moves 50 site items duting SharePoint migration process. A Progress Status report will be displayed in front of you containing all details like Job Status, number of files, pending, current upload, completed, etc. 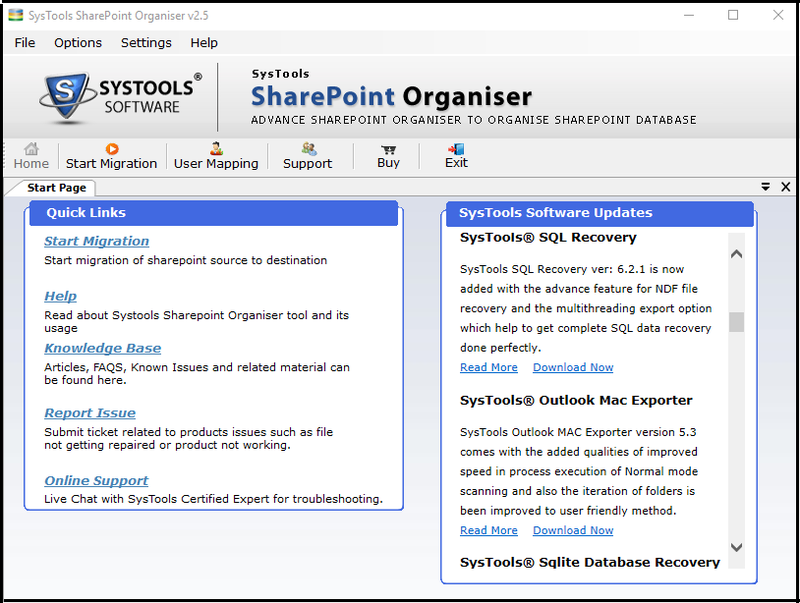 Tools related to SharePoint Migration are really hard to find so, after a deep search I came to know about this SharePoint Migrator tool. 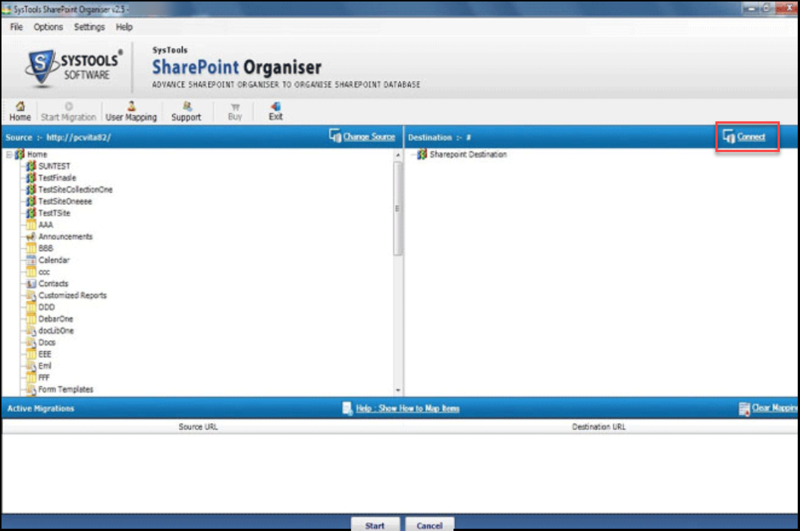 I like this utility a lot as it has reduced my overhead of SharePoint Online to SharePoint Online migration very much. It is a simple tool with all required features. Great Work development team. My data stored in SharePoint database is really important for me and I cannot afford to lose it. It is really hard for me to trust any third-party tool. 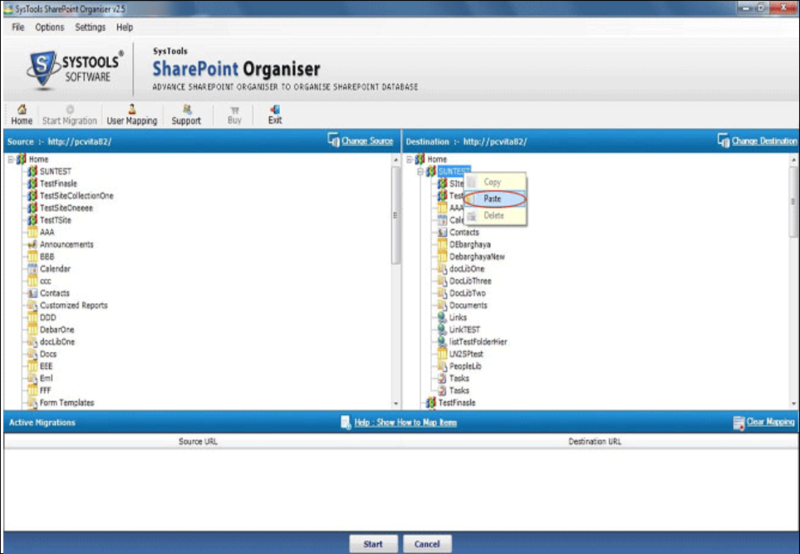 Thanks to this SharePoint to SharePoint Migration software for helping me in such a great way. Moreover, there is no loss of data, which I liked the most about this product. Hats Off to you guys!! The best part that I liked is the multiple options to perform migration. I mean to say it is really great to perform four different type of migration using this software. According to me, a really good work was done by the developers in developing this software with such a user-friendly interface. Can you brief me with the working of this SharePoint Migrator? Does the SharePoint Online to SharePoint 365 software support incremental migration? Solution: Yes, the software provides an incremental migration option that let users transfer only new data to Office 365 account since the last migration. Can I perform SharePoint 2013 to SharePoint 2016 Online migration using this application? Solution: Yes, this software is compatible with all versions of SharePoint i.e., 2016, 2013, and below versions. 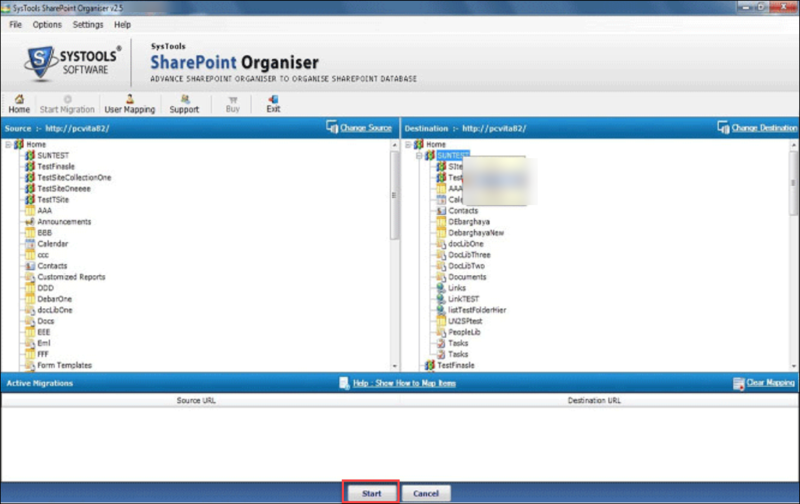 So, it is very easy for a user to move SharePoint 2013 to SharePoint Online using this application. Does the software keep folder structure intact during SharePoint Online to SharePoint migration? Solution: Yes, this SharePoint Migrator software provides an option to retain folder hierarchy. If you want, then check Maintain Folder Hierarchy option before starting the migration process. Is it necessary to have Live environment on the machine to perform migration? Solution: Yes, a user must have SharePoint Server present on the machine before beginning the migration task. Can I export Office 365 archive mailbox to PST? Question: I have Office 365 mailbox data above 100 GB. I have enabled In-place Archiving, now there are 2 mailbox, one is user's main mailbox and other is archive mailbox. So, I want to know that can I export archive O365 mailbox to PST format? Solution: Yes, you can export Office 365 online archive to PST as well as EML and MSG file format in same hierarchy as it is available in Office 365 User or admin account.